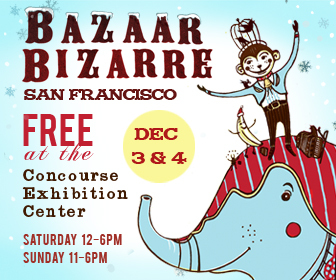 Check the blog tomorrow for info on the Bazaar Bizarre Holiday Show happening this weekend in SF! This week’s MM Jam of the Week is dedicated to VW, who suggested this jam of the week! Thanks VW! =) Definitely a nice blast to the past, specifically 1988. Enjoy the jam…! As I am preparing for this busy holiday season, I have been receiving some great pictures of Melinda Mae customers and their Melinda Mae handbags! Thank you all for sending them! Please keep the pictures coming! 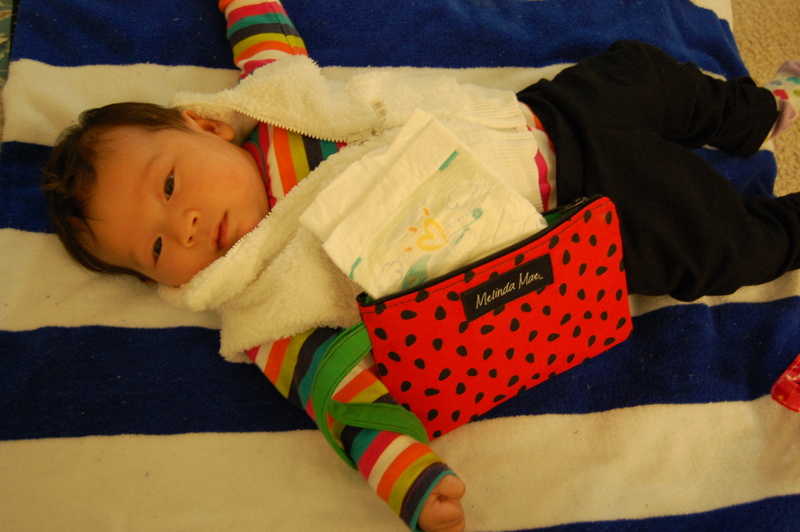 I really do love seeing where Melinda Mae Handbags are going…I know that, so far, Melinda Mae has reached West Africa, Spain, Guam, Italy, Hong Kong and I am hoping to hear of more locations. So please let me know if you bring your Melinda Mae handbag with you on your travels! 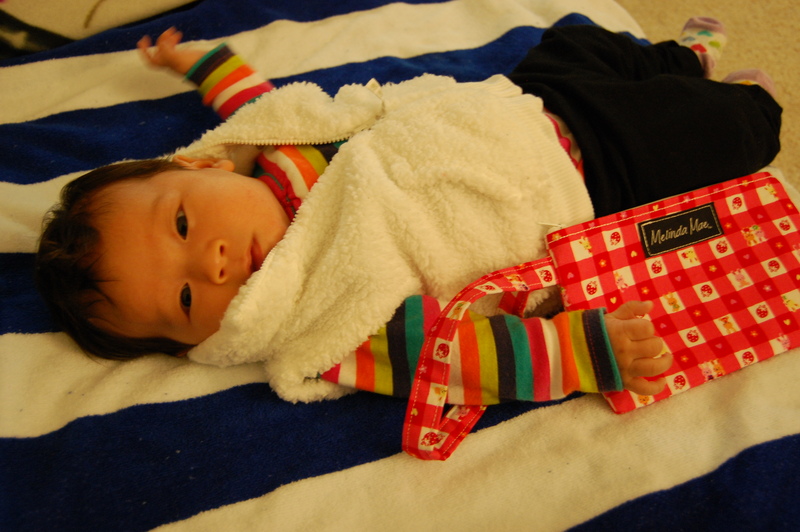 Also in the process of gathering photos, I was able to scout another Melinda Mae Handbag Supermodel. Let me know what you think! Not only is this new supermodel showing the fall fashion trends with her white fur vest, but she also carries her essentials with her in her Melinda Mae wristlet. 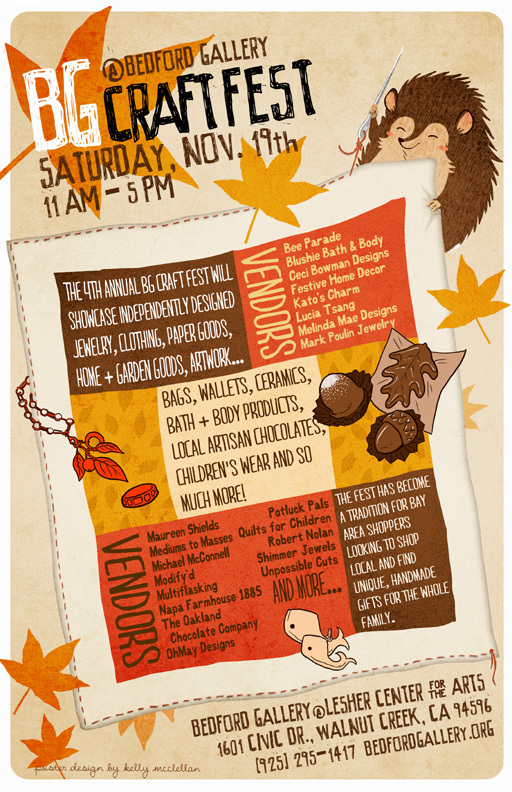 So I had mentioned that I had back to back shows coming up, so don’t forget, Saturday (November 19th) will be the Bg Craft Fest in Walnut Creek (www.bedfordgallery.org). 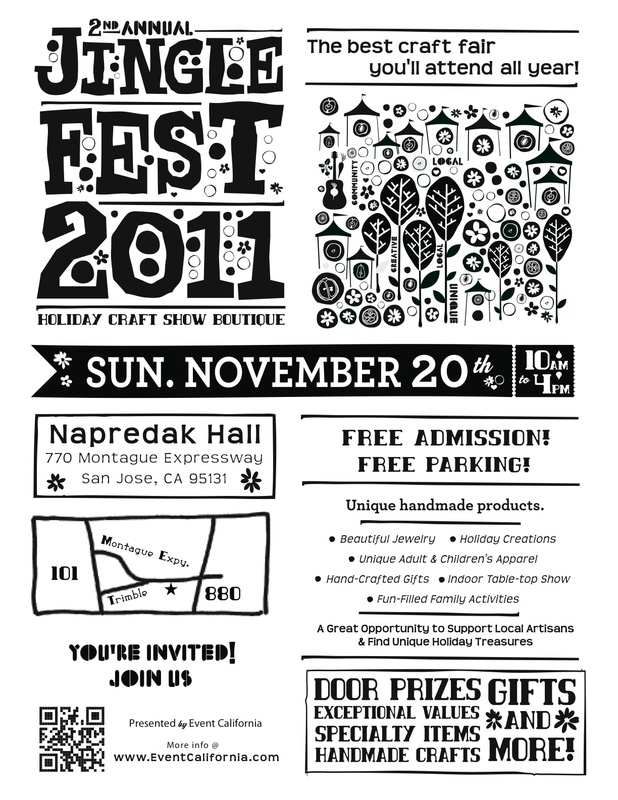 Then on Sunday (November 20th), Melinda Mae Handbags will be at Jingle Fest 2011 at Napredak Hall in San Jose. I think next week…we’ll bring it back to the 90s…. ! Now that Halloween is over and November is here, it’s time to go shopping for holiday gifts! This means that I need to get ready for all of the holiday shows coming up! This season, Melinda Mae has TWO back-to-back weekend shows….the first back-to-back weekend starts on Saturday, November 19th. Hello all….Sorry for the day late Jam of the Week! Here is the song that I have been playing on repeat this week. I love it…Thanks BH and ST for sharing with me! The video is very cute too. Hope you love it too!